A leading provider of enterprise-class engineering software, Altair India is fueling the adoption of emerging technologies for CVs. Beginning its journey in 1985 as an enterprise keen to leverage technology, Altair, as a leading provider of enterprise-class engineering software, is fueling the adoption of emerging technologies in the CV industry, and for CVs. Present in 24 countries, including India, and serving over 5000 customers, the company through its simulation-driven approach, is aiding innovation. It is offering solutions in the area of product engineering, industrial design and tailored solutions, which result in reduced development times and lower costs throughout the product lifecycle. 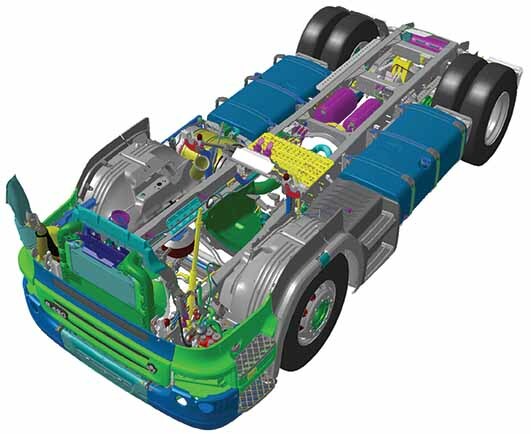 Incorporating the complete cycle from concept design to in-service operation, the simulation-driven approach of the company includes an integrated suite of software that optimises design performance across niche disciplines like structures, motion, fluids, thermal management, electromagnetics, system modelling and embedded systems, data analytics, real-world visualisation, and renderings. 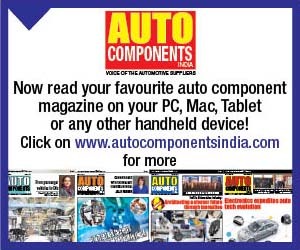 For the CV industry in India, which is on the cusp of a big change driven by regulatory changes and market demands, Altair India, the Indian subsidiary of the company, is working closely with clients like Mahindra & Mahindra, Daimler India Commercial Vehicles, Maruti Suzuki India, Tata Motors, Bosch, Faurecia, Mahle, and TRW among others. Our simulation driven solutions are helping them to adopt new technologies, announced Pavan Kumar, Managing Director, Altair India. Pertaining to Computer Aided Engineering (CAE) and High Performance Computing (HPC), the simulation driven solutions of Altair include ‘Solvers and Optimisation’, ‘Modeling and Visualisation’, ‘Industrial and Concept Design’, ‘Internet of Things’ and ‘High Performance Computing’. Software all, these make use of advanced computational algorithms. The ‘Solvers’ for example are mathematical software engines that use advanced computational algorithms in a bid to predict physical performance. ‘Optimisation’, at the other end, leverages ‘Solvers’ to derive efficient solutions that meet the desired requirements, no matter how complex and multi-objective in nature they are. In the case of ‘Modeling and Visualisation’, said Kumar, the tools allow advanced physics attributes to be modelled and rendered on top of the object geometry in high fidelity. “In ‘Industrial and Concept Design’, the tools generate early concepts to address requirements for ergonomics, aesthetics, performance, and manufacturing feasibility,” he mentioned. The ‘Internet of Things’ comprises of analytics tools that could be used to simplify data collection, visualisation, exploration and analysis. It could be also used to tackle large volumes of data generated by sensors during the in-service operations of physical products or by way of digital twin simulations. In the case of high-performance computing, the software solutions streamline the workflow management of compute-intensive tasks including the entire gamut of solvers, optimisation, modelling, visualisation and analytics in fields such as Product Lifecycle Management (PLM), weather modelling, bio-informatics and electronic design analysis. 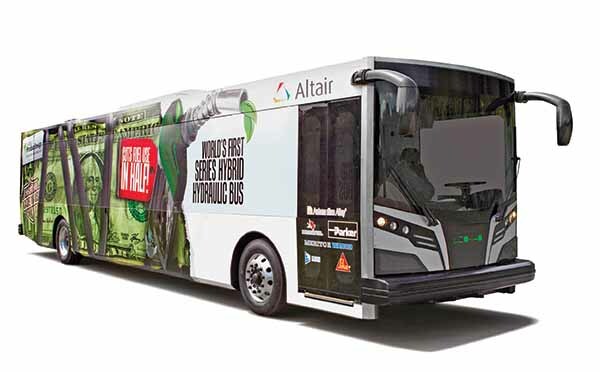 The CAE-based solutions Altair is offering to the automotive and transportation industry, with the backdrop of regulatory changes, is helping CV OEMs to achieve desired performance in terms of safety, driveability, comfort and quality in sync with tasks like fuel efficiency and weight savings. 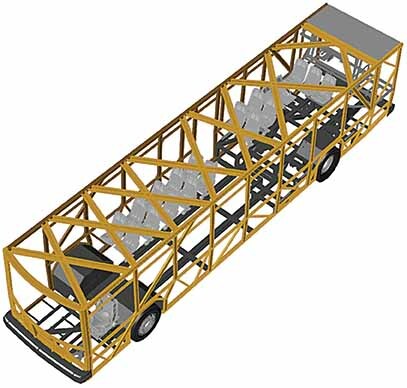 In case of fuel-efficiency, Altair ‘Optistruct’ is a solution for structural design and optimisation. It aids the development of lightweight and structurally efficient vehicles by reducing weight and material costs, and without compromising on the overall performance. The NVH, fluid flow and vehicle dynamics solutions that Altair offers, aids in the development of the physical prototype. Exterior and internal fluid flow studies with Altair ‘Acusolve’ provide insights on aerodynamics, cooling, noise, and comfort levels. Altair ‘Radioss’ helps crash engineers in the automotive crash and impact analysis. Averred Kumar, that besides the company’s traditional product offerings in Optistruct, Radioss, and HyperMesh, the company is focusing on newer areas which are witnessing a higher degree of customer interest. “We are getting more interest from our users about things related to design of sensors, the design of motors, communication and control systems,” he claimed. To aid in the development of electric vehicles, the company has developed multiphysics simulation technologies. These influence the complete cycle – from smart control design, powertrain electrification to vehicle architecture studies. The electromagnetic simulation technologies could help OEMs to optimise energy flow to the batteries, evaluate energy loss and facilitate the analysis of radiation fields. The electromagnetic solvers Altair offers help to enhance the performance of e-mobility auxiliary systems like e-throttle and e-braking through e-valves, e-boosters, e-damping and Energy Recovering Systems (ERS). “A testimony of our company’s technological prowess, at a global level,” expressed Kumar, “could be found in Renault trucks albeit at the global level.” “Renault Trucks achieved the optimal shape of a four-cylinder engine by shaving 120 kgs,” he said. Partnering in India with DesignTech Systems and the Science and Technology Park, an institute supported by Department of Science and Technology (DST), Government of India, Altair is looking at reaching out to not just the OEMs or tier suppliers, it is also looking to reach out to smaller players and those that are interested to venture into the field. It is thus banking on DesignTech as an execution and technology partner and will run an Engineering Centre of Excellence (CoE). Keen to support the ‘Skill India’ programme of the government through the partnership with Science and Technology Park, Altair is looking at reaching out to large student communities, academic institutes and others. It is, with the help of the CoE, looking at bridging the skill level gap between vocational engineering skills and the industry expectation. “The CoE would enable students to be industry ready. It will increase their chances to seek better compensation, and help the industry save time,” said Kumar. He averred that the industry will not need to re-train candidate, and thus concentrate on elevating their efficiency. Q. How is Altair focusing on the CV industry? 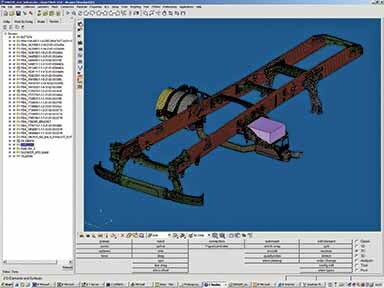 A. Altair began its journey by first stepping into the automotive industry with its simulation software. There is a little bit of Altair in whatever mode of transportation one uses. Moving up from plain vanilla simulation mechanical systems to electrical systems; to electronics, to communication and control systems, the products that we offer, form part of a paradigm that mixes mechanical, electrical, electronics and communication technology to arrive at a solution. As a leading provider of enterprise-class engineering software, we are fueling the adoption of emerging technologies in the CV industry. We are playing a role, and can’t wait and watch for things to move. We are talking about the Internet of Things and cloud among others. Q. Which products that you offer are finding traction in the field of e-mobility? 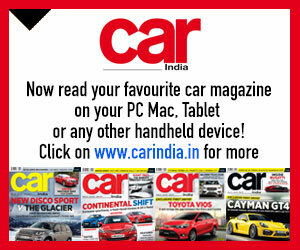 A. Irrespective of whether it is a diesel, electronic or hybrid, the less weight the more efficient an automobile is. That premise is central to what we offer. If you look at our customer success stories, they are about how they have taken out weight and still met the performance characteristics or improved upon them. 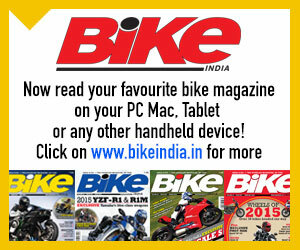 We are seeing traction towards such endeavours where weight saving is a priority. It quite often involves the use of innovative materials. The other areas where we are seeing growth coming in, is in communication and infrastructure. This involves the deployment of Internet of Things for maintenance, digital trends, etc. The products that we offer, operate in a scenario where regulations and market demands are catalysts of change. The industry is adapting well, and is proving to be agile. While I think that the policymakers are at times oversimplifying things, I have met people who think that they can make an electric vehicle by just buying components and putting them together. I wonder if they understand how difficult it is to meet the duty cycles. This is when, I think, that the policymakers are being hasty. Fast changing gears, OEMs are adapting very well. They successful migrated from BSIII to BSIV. They are now preparing to migrate from BSIV to BSVI. It is for them a question of survival. Q. What products you offer are finding use in the CV industry? A. Products like Optistruct, Radioss and HyperMesh that we offer, are used to design and develop a lighter, more rigid and NVH compliant body shell. 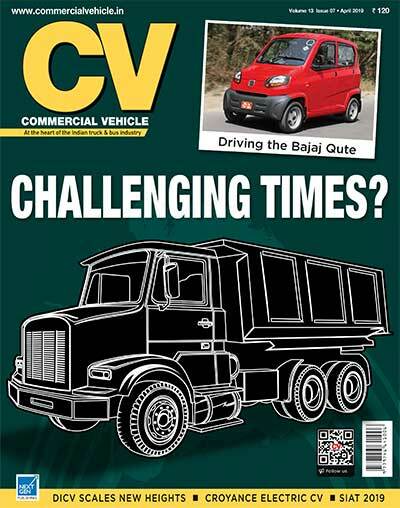 They continue to find a strong traction in the CV industry. Interest is being exerted in new areas related to the design of sensors, the design of motors, communications and control systems. Q. What is the strategy behind alliance partners? A. The strategy behind alliance partners is the realisation that we can’t be experts in everything. We are experts in certain areas, but that would not be enough to serve a customer who may not need just our technology, but also the technology of someone else. BY having alliance partners, we are better positioned to serve the often complex needs of our customers. We have close to 100 partners, and they have been a part of our programme for many years. Q. 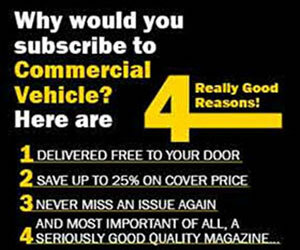 Does localisation apply to your products the way it does for the auto industry? A. The technology that we offer is not local. It is global. It is the kind that does not change with a change of location or market. Whether an electric vehicle is made in India or Thailand, the technology that we offer or deploy is the same. The operating conditions may be different, but the simulation tools that we offer, are by nature built to handle different conditions. There is no need for the extremely localised approach. Q. How is the CV industry contributing to your revenue? A. The product lifecycle of CVs is much longer than that of the passenger vehicles. The minute you have a longer lifecycle, the number of design iterations that you do are necessarily less. In the case of passenger vehicles, the next design cycle commences early with the knowledge that the replacement cycle is only three years away. Due to the longer lifecycle, CVs provide more breathing space for value engineering. Going by that scale, I I haven’t seen a significant increase due to the influence of regulations. Regulations are coming, and to deal with them, CV manufacturers are using after treatment technologies rather than making fundamental changes. So, not much has changed. In the case of ground-up plans, the use of simulation is definitely more. Q. Why are you so keen to support Skills India programme? A. A hired workforce is assigned to a task only after a period of one year. A year is often spent on training the workforce. Such an investment on a resource that quit the job does not come willingly. No industry is willing to make it. Recognising this, the government has embarked on the Skill India campaign. It is about skills that are relevant and matter most. Skills like math modeling or creating an Internet of Things framework are relevant. The labs at the CoE hold relevance across the entire spectru, and could be a key to bring down the training period. By supporting Skills India, we want to encourage startups. Jobs are not increasing at the same pace at which engineers are being churned out. If we can raise 10 entrepreneurs per 1000 students, we can generate more employment. Q. How close has the math model come to simulate on-road performance? A. We did a mathematical model of muffler configurations. A muffler configuration is very difficult to fathom; the input, the output, the decibel level, the nature of sound, and more. Previously, it was done on a trial and error basis. Upon the application of math model scenario, several configuration sets were had. What would take a couple of days to accomplish, by using a 3D simulation, was achieved in a couple of minutes. The significant advantage of the math model, or how close it has come to simulate real-world performance, lies in the fact that a right configuration is achieved for the right purpose. There are certain techniques which could be applied, and in certain areas. Q. What opportunities and challenges are you looking at? A. We are looking at emerging areas like system modeling. With CFT as the mainstream, we are looking at electromagnetics and motor design as growth areas. There are challenges regarding adoption. The techniques require different skill-sets. The Internet of Things could shift focus from engineering products to engineered products. Whether the engineers can morph themselves fast enough is the question? We can help them achieve that.